Do you spend too much time creating the building blocks of your graphics applications or finding and correcting errors? 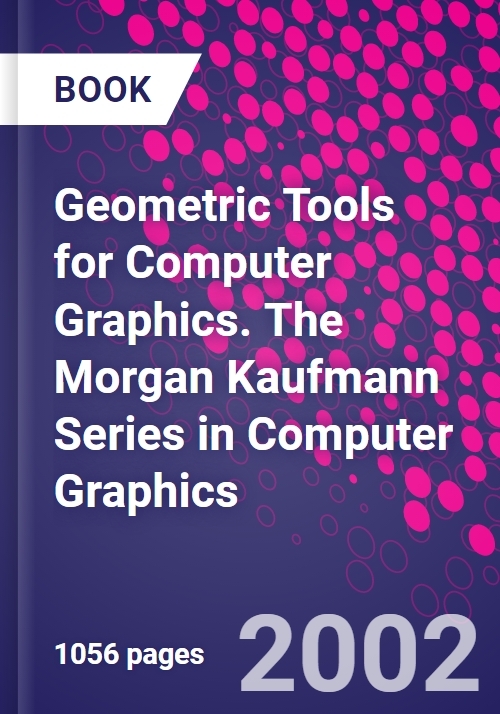 Geometric Tools for Computer Graphics is an extensive, conveniently organized collection of proven solutions to fundamental problems that you'd rather not solve over and over again, including building primitives, distance calculation, approximation, containment, decomposition, intersection determination, separation, and more. If you have a mathematics degree, this book will save you time and trouble. If you don't, it will help you achieve things you may feel are out of your reach. Inside, each problem is clearly stated and diagrammed, and the fully detailed solutions are presented in easy-to-understand pseudocode. You also get the mathematics and geometry background needed to make optimal use of the solutions, as well as an abundance of reference material contained in a series of appendices. - Filled with robust, thoroughly tested solutions that will save you time and help you avoid costly errors. - Covers problems relevant for both 2D and 3D graphics programming. - Presents each problem and solution in stand-alone form allowing you the option of reading only those entries that matter to you. - Provides the math and geometry background you need to understand the solutions and put them to work. - Clearly diagrams each problem and presents solutions in easy-to-understand pseudocode. * Filled with robust, thoroughly tested solutions that will save you time and help you avoid costly errors. * Covers problems relevant for both 2D and 3D graphics programming. * Presents each problem and solution in stand-alone form allowing you the option of reading only those entries that matter to you. * Provides the math and geometry background you need to understand the solutions and put them to work. * Clearly diagrams each problem and presents solutions in easy-to-understand pseudocode. * Resources associated with the book are available at the companion Web site [external URL] Note: This is an On Demand product, delivery may take up to 11 working days after payment has been received. 24 years of professional programming, primarily focused on modeling tools and geometric algorithms. Employers include Digital Equipment Corporation, Apple, Walt Disney Feature Animation, Digital Domain, and Industrial Light + Magic. Formed and lead groups specializing in these areas as well as in physics simulation. Film Credits: Oil & Vinegar, 102 Dalmatians, Disney's Magic Lamp, Mickey's Philharmagic, Reign of Fire, Kangaroo Jack, Chicken Little, Indiana Jones and the Kingdom of the Crystal Skull, Pirates of the Caribbean: Dead Man's Chest, Harry Potter and the Goblet of Fire. M.S. in Computer Science, University of Washington.